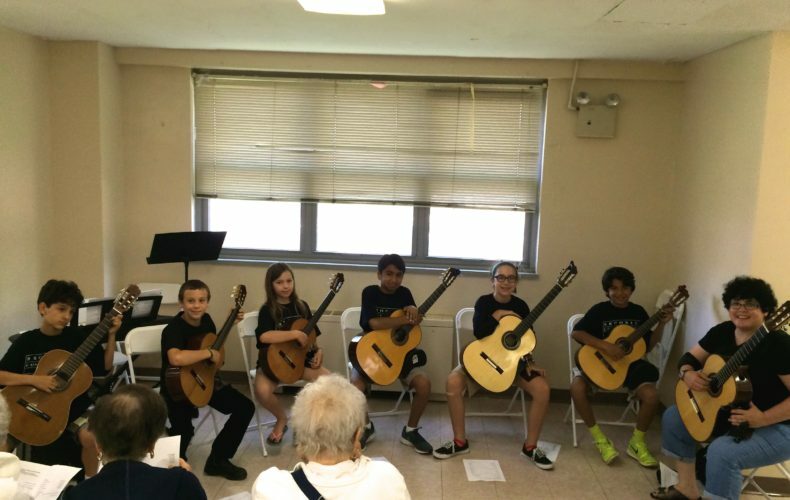 On May 31st, Suzuki Guitar department head Michele Horner and her students were asked to perform at Warbasse Cares at Coney Island in conjunction with Concerts in Motion. Concerts in Motion is an organization that provides concerts for homebound people in New York City. This performance was part of their Intergenerational Concert series.